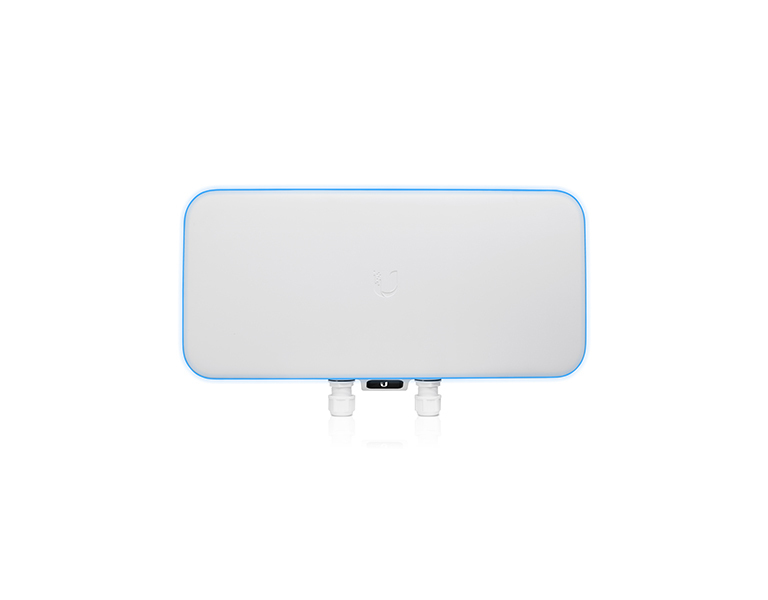 802.11ac Wave 2 MU-MIMO (Multi-User, Multiple Input, Multiple Output) technology allows a Wave 2 AP, such as the UniFi WiFi BaseStation XG, to communicate with multiple clients at the same time – significantly increasing multi-user throughput and overall user experience. MU-MIMO Assuming the same conditions, a Wave 2 radio provides up to 75% improvement* beyond a Wave 1 radio. This improvement increases wireless performance and/or serves more clients at the same performance level. Real-World Performance Combining three times the number of 5 GHz radios and four times the associations per radio, the UniFi WiFi BaseStation XG delivers an order of magnitude more performance* than a typical 802.11ac Wave 1 AP. Client Compatibility For optimal performance, use MU‑MIMO clients. SU‑MIMO clients will also benefit and gain up to 10-20% greater performance when used with the UniFi WiFi BaseStation XG. For ultra high density environments, such as an outdoor music festival, where there are numerous clients in a relatively small space, we recommend the UniFi WiFi BaseStation XG. Wave 1 and Wave 2 APs offer 28 independent (non-overlapping) channels: three for the 2.4 GHz band and twenty‑five for 5 GHz, including DFS channels. 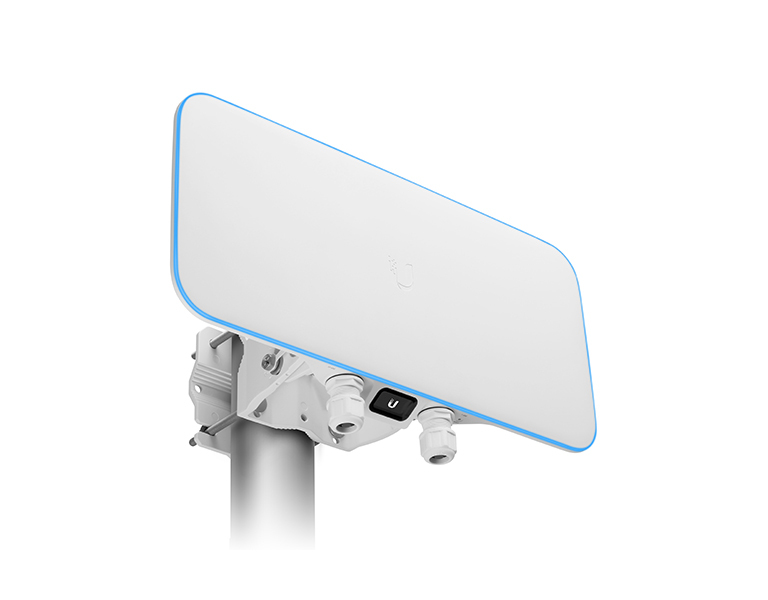 With the advantages of MU-MIMO technology and 4x4 spatial streams, the UniFi WiFi BaseStation XG can support more than triple the number of users2 per radio than a typical Wave 1 AP. Featuring maximum wireless performance combined with wireless security, the UniFi WiFi BaseStation XG is ideal for ultra high density environments such as event venues, festivals, and medium- or large-sized stadiums. Quad-Radio Capabilities Three client radios deliver unparalleled Wi-Fi performance while a dedicated security radio provides persistent threat management. Superior Capacity for Large Crowds Featuring low‑latency QoS (Quality of Service), the UniFi Stadium XG AP supports up to 1500 clients with 12 MU‑MIMO chains (500 clients with 4 MU-MIMO chains per client radio). Enhanced Processing Power The UniFi WiFi BaseStation XG is capable of complex operations (guest control, filtering, and other resource-intensive tasks) that may slow down a lesser-equipped AP. 10G and 1G Ethernet Connectivity Designed to be a 10G Ethernet backhaul, the primary port carries both data and PoE, while the secondary Gigabit Ethernet port is for bridging and also supports PoE input. Power over Ethernet (PoE) Standard The UniFi WiFi BaseStation XG can be powered by an 802.3bt PoE compliant switch. RF Energy Steering True cellular Wi-Fi using multiple APs – its selectable directional beamforming antenna allows for cell size optimization to maximize coverage. 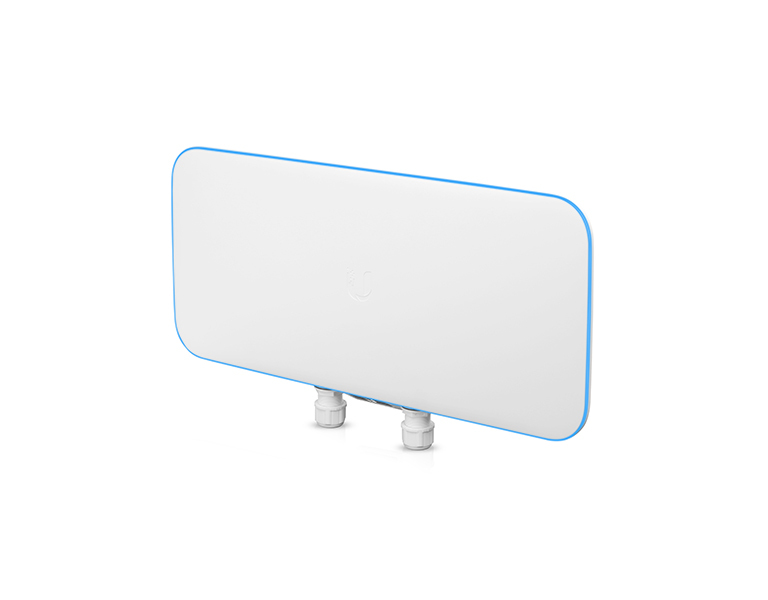 Available in white or black, the sleek UniFi WiFi BaseStation XG is a versatile access point with multiple mounting options to suit your application. Streamlined Industrial Design The UniFi WiFi BaseStation XG offers discreet integration into any multi-user environment. Customizable Appearance Optional panel skins can be used to meet the requirements of your deployment. Visual Indicators The LCD screen and controllable RGB LED ring offer status updates in a single glance. 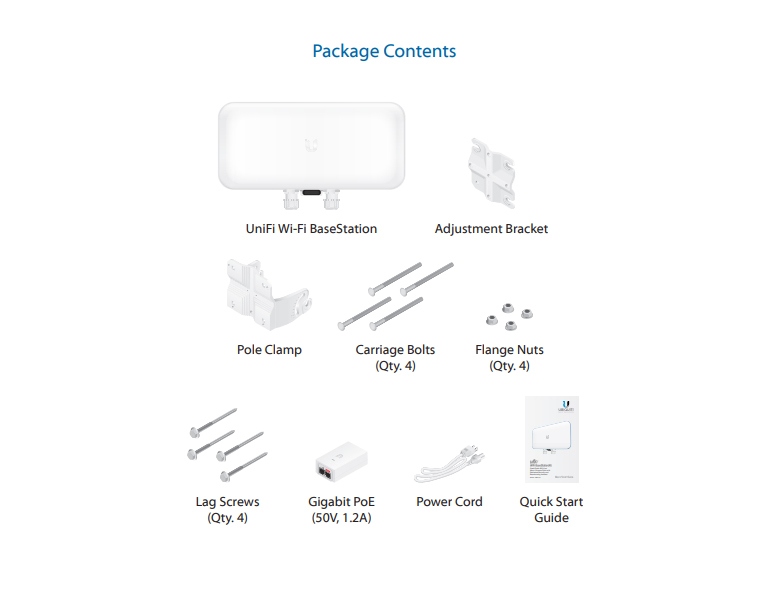 Mounting Versatility The UniFi WiFi BaseStation XG can be easily mounted on a pole or wall with the included brackets. VESA Mounting Its VESA mount compatibility allows easy integration with the VESA MIS-D standard and can be used with mounts that comply with this standard. 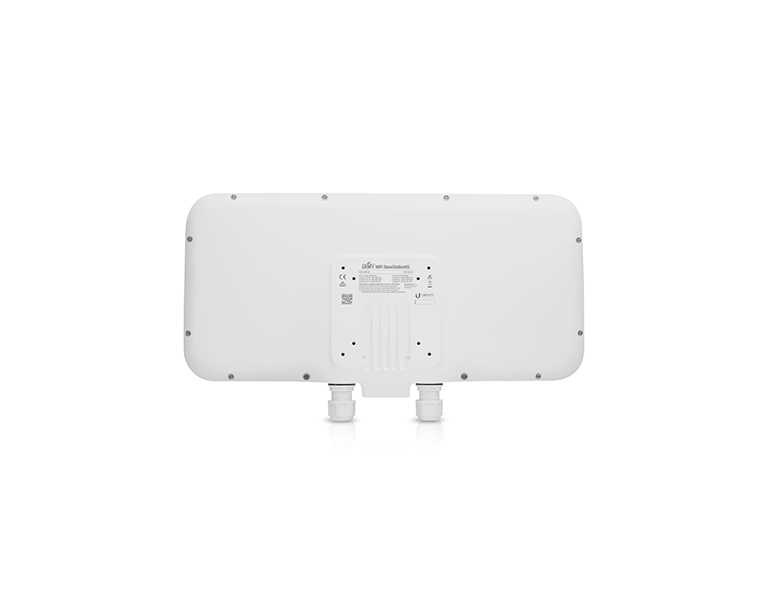 Weather-Resistant Form Factor The IP67-certified enclosure of the UniFi WiFi BaseStation XG is designed to withstand the elements, making it ideal for outdoor deployment. Το προϊόν αυτό προορίζεται για χρήση σε εσωτερικούς η εξωτερικούς χώρους.